On the second and third day of their journey, João and Marcelo take a cold shower, catch a snowstorm and are surprised when they try to save some cash by eating gyros. In 2003, João and Marcelo set off on a journey to explore the Middle East by land, a journey that couldn’t happen again today. 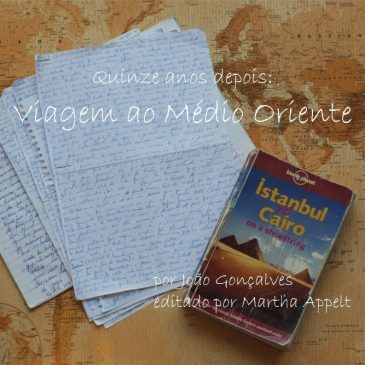 This is the diary João wrote during the adventure.